The match between the two fighters was a much talked about event as it brought Mayweather out of retirement to take on McGregor in an undefeated boxing duel. The game took place at the T Mobile Arena. When the game started Mayweather was considered as a favorite in the betting circles whose odds were at -2250 and the odds for Mayweather were down to -375 just before the fight started. 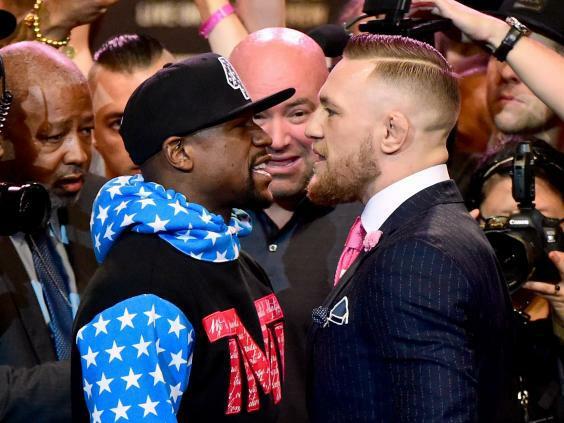 Small bets were being placed on the Irish champion of UFC while large bets were on Mayweather. Among the poker pros, most people put their money on Mayweather. For instance, Kristy Arnett put in for Mayweather, but her decision was probably biased as her husband had already placed a bet on the same champion. Her husband Moreno being an avid pro poker player was asked for the basis of his decision. He stated that most players would see a positive EV circumstance here. It was felt that Mayweather was the favorite by a margin of eighty percent. Arnett was nervous about the bet, but her husband was not; he knew that the chances of not winning prevailed and there would be a consolation prize as well and hence, it was worth making the bet. Overall, the poker players of the professional community were able to strategize and make a game out of the fight, putting in their expertise and statistical calculations to make sport bets on this epic fight.